There are those who dance and those who get danced on. 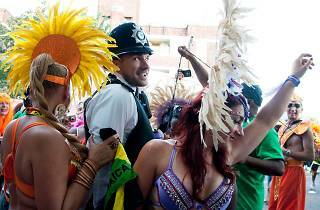 Win seven points if you spot a copper who’s perfected the bogle. They wanted to see the blue door from the Hugh Grant film. Now they’re rocking in the foetal position while people conga around them. Win four points for witnessing their holiday calamity. A fiver to use your toilet? I’ll take a bath and use your best towels for that. Win nine points if you see someone leaving a W10 townhouse in a dressing gown. Three points for seeing a posh kid in a Bob Marley T-shirt. An extra ten if they can name one of his songs. Spot the ones in new shoes. 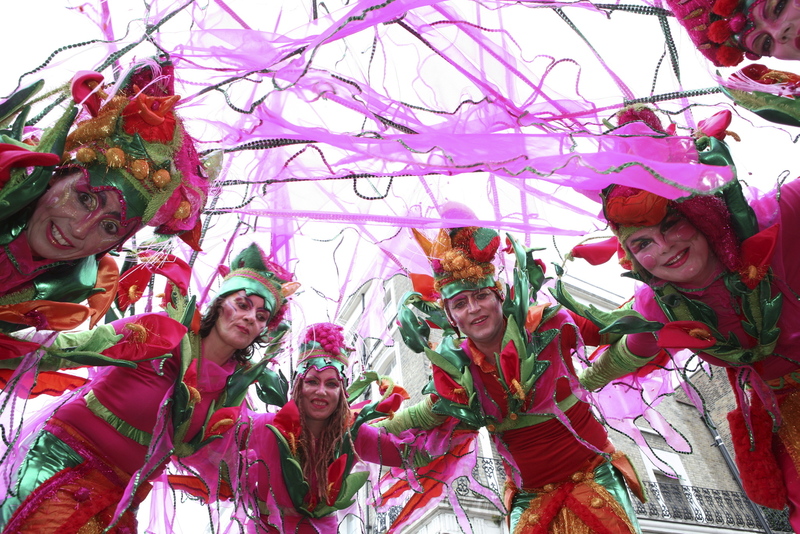 Carnival is a marathon: you need to break those bad boys in, girls. Fishnet toes hanging over the edges is not a good look either. Go on, give them a piggyback and collect six points. Win three points if you see a punter ask for some cutlery with their roti. They especially love it when you say: ‘Gimme all the chilli sauce’, y’know. 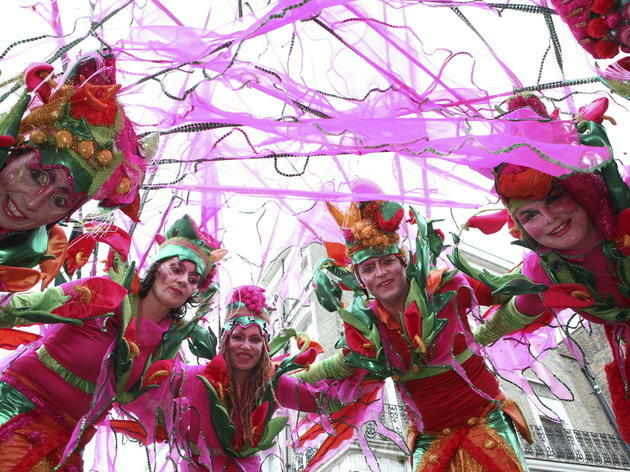 Have you tried doing anything in a massive feathered headdress? It’s a logistical nightmare. Bead-fringed bikini bottoms add an extra element of awkward. Let her go in front and give yourself five points. With all those people in one space, good luck getting 3G signal. Spotted someone trying and failing to Instagram a can of Red Stripe? Collect a point. The police might call time on the amplifiers, but those masqueraders are an inventive bunch. Three points for spotting feathered folk making music after hours by banging bottles with sticks. Take two points for every rum-drunk office drone you overhear on Monday evening leaving their boss a message that they can’t come in on Tuesday. 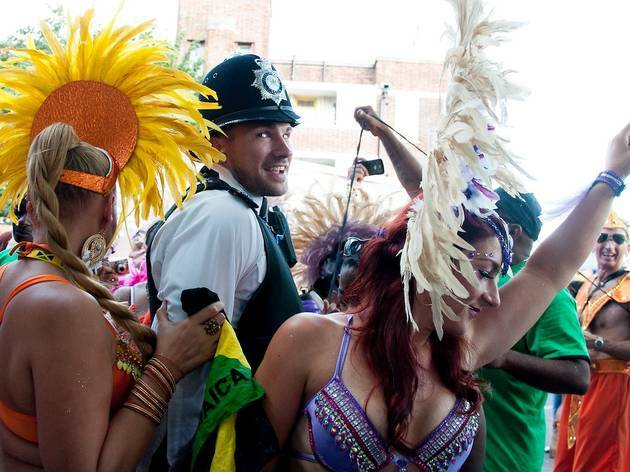 Word of advice to anyone pulling a Carnival-inspired sickie: step away from the static soundsystem first, and don’t tweet that selfie with those nice policemen.